Slated for release this November!! The author of the critically acclaimed Elvis Presley biography Last Train to Memphis brings us the life of Sam Phillips, the visionary genius who singlehandedly steered the revolutionary path of Sun Records. The music that he shaped in his tiny Memphis studio with artists as diverse as Elvis Presley, Ike Turner, Howlin' Wolf, Jerry Lee Lewis, and Johnny Cash, introduced a sound that had never been heard before. He brought forth a singular mix of black and white voices passionately proclaiming the vitality of the American vernacular tradition while at the same time declaring, once and for all, a new, integrated musical day. With extensive interviews and firsthand personal observations extending over a 25-year period with Phillips, along with wide-ranging interviews with nearly all the legendary Sun Records artists, Guralnick gives us an ardent, unrestrained portrait of an American original as compelling in his own right as Mark Twain, Walt Whitman, or Thomas Edison. Sam Phillips: The Man Who Invented Rock ‘n’ Roll was curated by Peter Guralnick ( Last Train to Memphis: The Rise of Elvis Presley) and accompanies his landmark Sam Phillips biography of the same title. 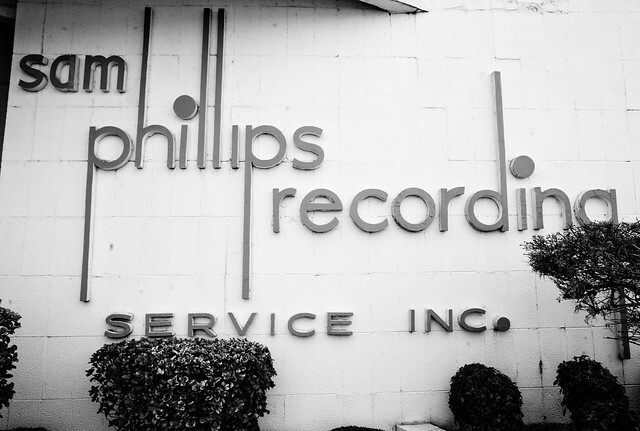 These tracks are a hand-picked selection of Sam Phillips productions that illustrate Phillips’ unique (sounds and sense) approach to recording and his cosmic genius. A celebration of the period (1950 - 1961) in which Sam played a revolutionary role in the music business, this collection includes big hits, near misses and never-was tracks that encompass blues, country, gospel, r&b, and the birth of rock & roll. Here is the name giving documentary. To nitpick, I'm not mad about the title. In this more knowledgeable day and age, I don't think you can get away with claiming any white person 'invented' rock n' roll. Elvis never liked being called 'The King of Rock n' Roll' anyway, and certainly for me, Little Richard and Chuck Berry are the true 'kings' of rock n' roll, though imo the music has no single inventor, just a slow, murky emergence out of r n' b, country, blues and gospel. I agree that it is not a good title for this book. 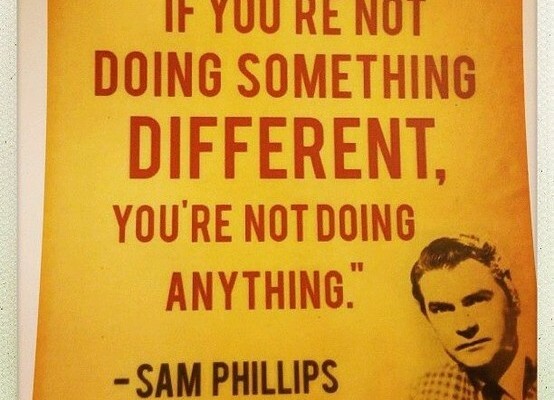 Sam certainly was there in the beginning stages of rock and roll, but he didn't invent the music. Fats Domino was already cutting records when Sam got into the business. Gotta say I always loved listening to the man talk - just had on a 90's PBS rock special a few nights ago, and Sam is there quite a bit talking about Elvis, Perkins, JLL. He always sounded like a Southern preacher that had just a little too much to drink. The title of course is just to sell (and also was also the tile of a documentary by Guralnick, see my first post). No one invented Rock'n'Roll. It just evolved. That's how it goes. Sam though had a vision from beginning of a social kind as he wanted to build a bridge between black and white folks. Great fun, if not a great showcase for Sam the man and his esteemed place in music history. Also interesting to see Paul Shaffer, with whom our man Brian later collaborated on the unreleased Sweet Insanity era instrumental 'Metal Beach' . 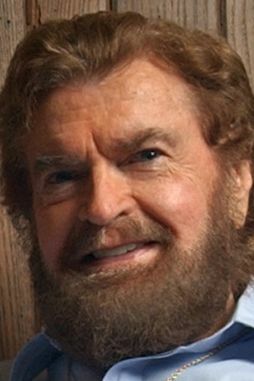 Sorry, Rocker, latter-day Sam Phillips' look just tickles my funny bone . And finally, you'd never guess that this guy is one of Sam's sons, Mr Jerry Phillips, would you, huh? Gotta say I always loved listening to the man talk - just had on a 90's PBS rock special a few nights ago, and Sam is there quite a bit talking about Elvis, Perkins, JLL. He always sounded like a Southern preacher that had just a little too much to drink. Totally agree. Watch this interview with Sam, talking about Elvis and from his tone only, I started to feel like Sam was confessing the story of his own sins and evangelizing how he found himself in the Lord. I love how he says at the end "I just wish everyone could've known Elvis Presley the way I did". Thank God for Sam Phillips, if not for him, the world might never have known the great artistry of Elvis, a shy guy with no formal training in singing or guitar playing, no showbiz connections; we might not have ever know Johnny Cash and his Tennessee Two - guys that could barely play their instruments, yet they had something unique, something different, and Sam recognized it. Well, to tell you the truth, when it comes down to Elvis and all that stuff, there's hardly anyone who's words make so much sense as Sam Phillips'. So, the book is out now! This program takes place in the Museum's Ford Theater and will also be streamed live at countrymusichalloffame.org/streaming. The live stream is powered by NewTek TriCaster. Along the way Guralnick touches on Phillips’s struggles with mental illness, his astute business savvy, his complicated relationships with friends and family, and the incredible drive and charisma that propelled his genius even if some believed, at heart, he was deeply lonely. By the book’s end, the weight of Guralnick’s mission comes into full view. Phillips had advised him early on, “It ain’t for you to put me in a good light. Just put me in the focus that I’m supposed to be in.” And that’s exactly what Guralnick has done. His subject would no doubt be proud that he got it right. Here's another interview with Guralnick. Saw this on the "For Elvis CD Collectors Only"-Forum. Sam Phillips: The Man Who Invented Rock 'n' Roll is the title of the new book that was released more than a week ago from Peter Guralnick. At the Country Music Hall of Fame and Museum in Nashville, Tennessee, there is an exhibition about the life and work of Phillips. 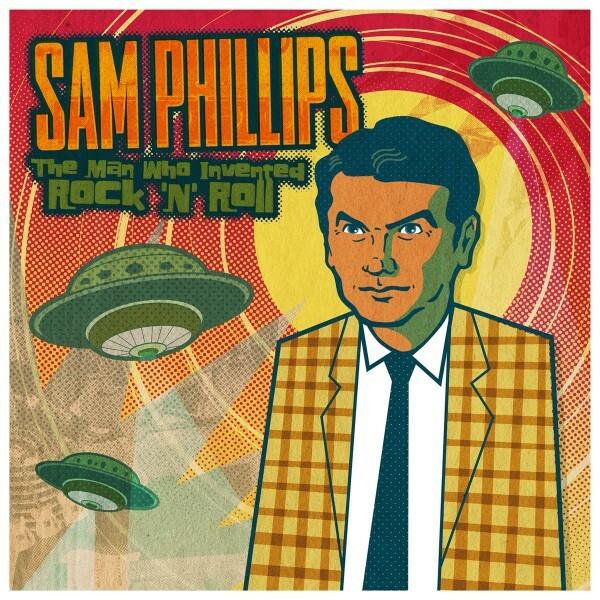 And begin December, there is the release of the limited edition vinyl boxset of 'Sam Phillips: The Man Who Invented Rock 'n' Roll', a 55-track companion to Peter Guralnick's biography of the same name, and a personal, idiosyncratic survey of one of the most important bodies of work in recording history. The 3LP set features songs hand-selected by Guralnick, who also wrote an exclusive track-by-track essay for the release. Mostly spanning the years 1950-1961, the set shines a light on Phillips' unique approach to recording, his cosmic genius, and revolutionary role in the evolution of blues, country, R&B, gospel and the birth of rock 'n' roll. Featuring big hits, near misses, and never-even-close tracks by Elvis Presley, Howlin' Wolf, Johnny Cash, B.B. King, Jerry Lee Lewis, Charlie Rich, Carl Perkins, Roy Orbison, and scores of other singular artists, Sam Phillips: The Man Who Invented Rock 'N' Roll delivers, in his own words, "individualism in the extreme." Every track on this collection celebrates, whether intentionally or not, the diversity and beauty and rawness, the grandness and intimacy and comic and tragic drama of the human experience. The 2 CD set is already available. Published: november 19th 2015 02:19 AM. Source: Yep Roc Records / Published by: ElvisMatters - Jeroen Vanderschoot . And here's a TV report. 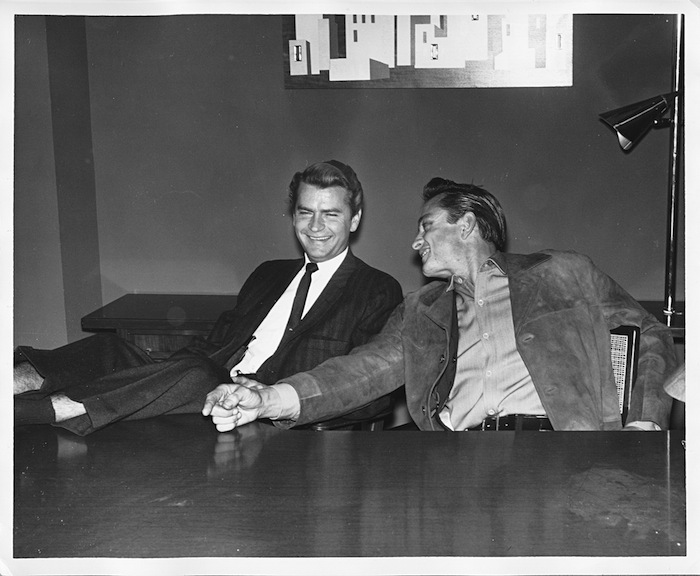 But whether you ultimately agree or disagree that Sam Phillips invented rock and roll, there’s one thing you can’t dispute: Sam Phillips was a singular, endlessly fascinating piece of work. He was huckster, trickster, dreamer and architect compressed in one roiling, flamboyant package. If he hadn’t existed, it would have been necessary for Mark Twain to invent him, as the Phillips evoked in these pages carries Tom Sawyer’s adventurous cunning and Hank Morgan’s “Connecticut Yankee” ingenuity in his trick bag, along with Huck Finn’s desperate yearning for freedom. For your listening pleasure I searched for some Sam Phillips productions on youtube. Here are some not-so-well-known recordings plus some better known ones. Powered by SMF 1.1.21 | SMF © 2015, Simple Machines Page created in 0.271 seconds with 21 queries.